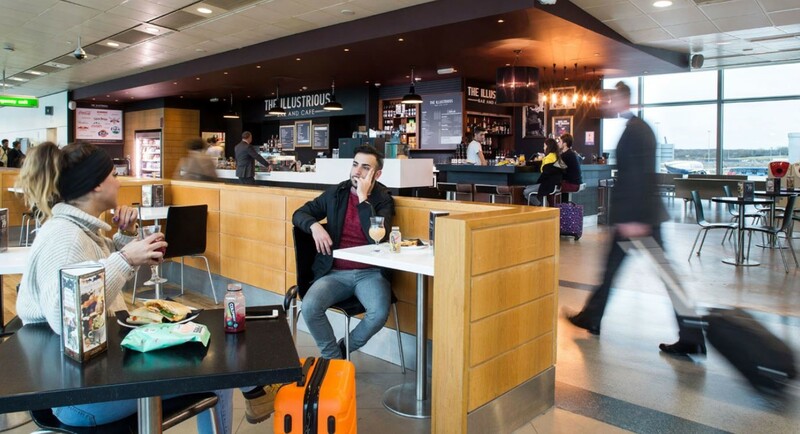 Visit The Illustrious Bar and Cafe at London Stansted Airport for a rock and roll-themed hangout ideal for music lovers waiting for their flight. Why visit The Illustrious Bar and Cafe? 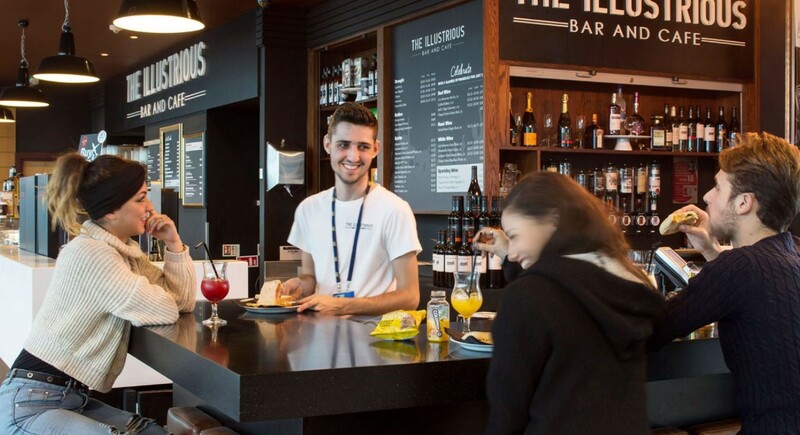 The Illustrious Bar and Cafe is a rock and roll-themed cafe ideal for music lovers waiting to depart from London Stansted Airport. Elegant and sophisticated decor chimes with a laid back atmosphere featuring wall-mounted guitars and famous rockstar portraits. Come and mix with your idols while enjoying a range of appealing bar- and cafe-themed snacks and beverages.